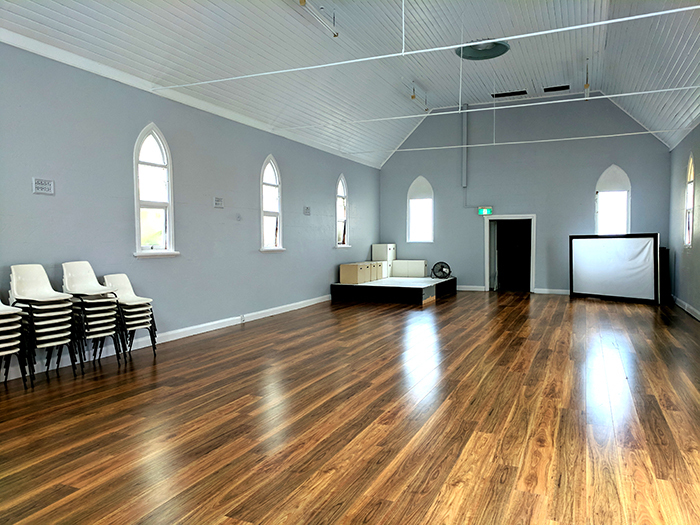 The Tantrum Studio is located at 101 City Road Merewether NSW 2291. Access to the venue is via Allworth Street, Merewether (there is no stopping or parking on City Road). 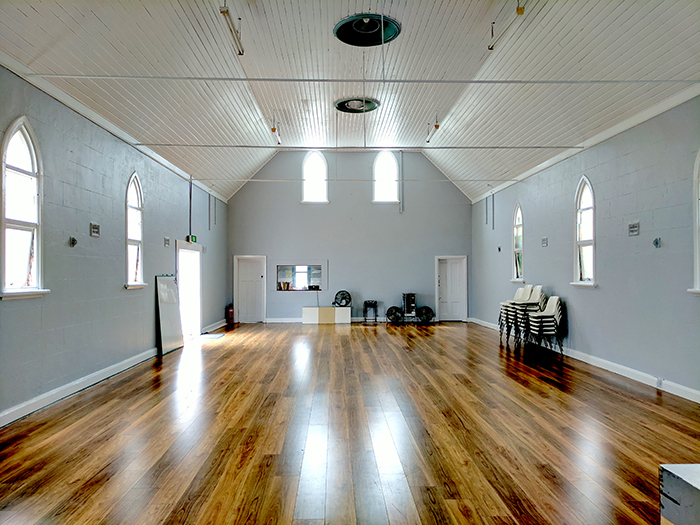 The venue is a large 132m2 hall space with a floating wooden floor ideal for rehearsals and workshops, dance/exercise classes, community groups, training and meetings. Sound, lighting and audio-visual equipment is also available to hire from Tantrum Youth Arts for an additional cost. Portable Rear Projection Screen Price on application.